The Lone Star State has a lot to offer and I’m here to take as much of it in as I can. If you read my post about my current health scare, you know I’ve been grounded from doing much international traveling. In some ways, I feel like my scare with blood clots has taken over my life to a large extent and in some ways, it has. Instead of being down about it or succumbing to the anxiety I feel creeping up sometimes, I’m going to focus on what I can do. As such, what better way to spend my time than looking for places to go in my home state that I didn’t even know about? I’m amazed at many of the places I’ve uncovered in my search. There are literally hundreds of places that could go on a list, but I decided to highlight 5 that jumped out to me and that I think would be the quickest trips to take. Down the street from San Antonio and not far from Kerrville, you’ll find a town called Ingram where the Stonehenge II, built by Al Sheppard and his neighbor Doug Hill, is housed by the Hill Country Arts Foundation. It was moved when the Sheppard’s family sold the land where the Stonehenge stands. The replica is 60% scaled to the original and was built with plaster and wire mesh, with the exception of two of the center stones made of limestone. 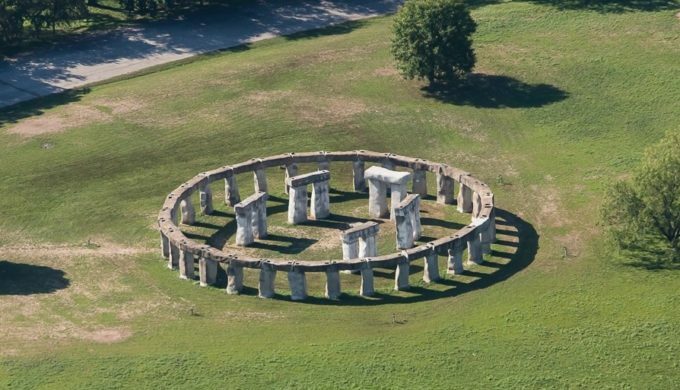 Here you’ll see what the original Stonehenge would have looked like all those years ago. Along with the completed Stonehenge replica, you’ll find two Easter Island figures. The existence of water reservoir cistern underneath the city of Houston was unknown to me, but I’m extremely eager to see it. The cistern was built in 1926 and was a water reservoir for the city up until around 2007. In 2016, the underground reservoir cavern was opened up to the public for visits. If you visit on Thursdays, you can tour the cavern for free. There are different tours offered from Thursday to Sunday, including photography tours which really piques my interests. 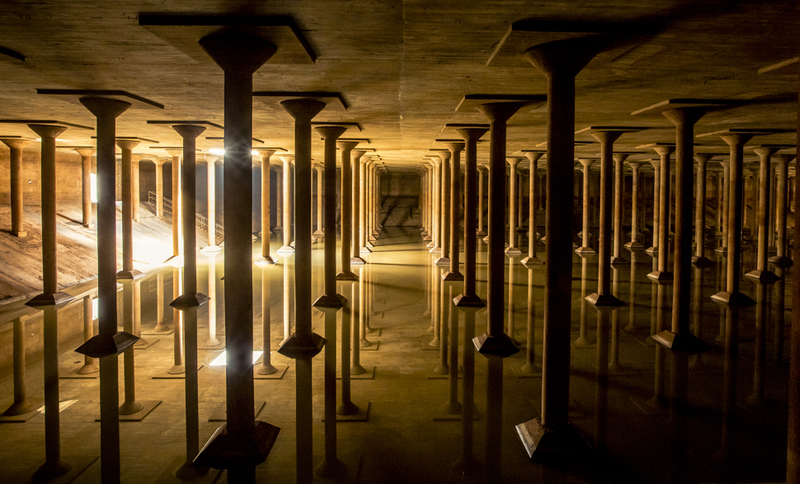 The pictures of the cistern are enough to get me to journey beneath the Houston city surface to see this magnificent architecture in person. The Mandir (temple) looks like something out of a fairytale book. The beautiful temple of is found in the Houston area. It is a place of worship for Hinduism and its beauty is along the likes of the Taj Mahal deep in the heart of Texas. 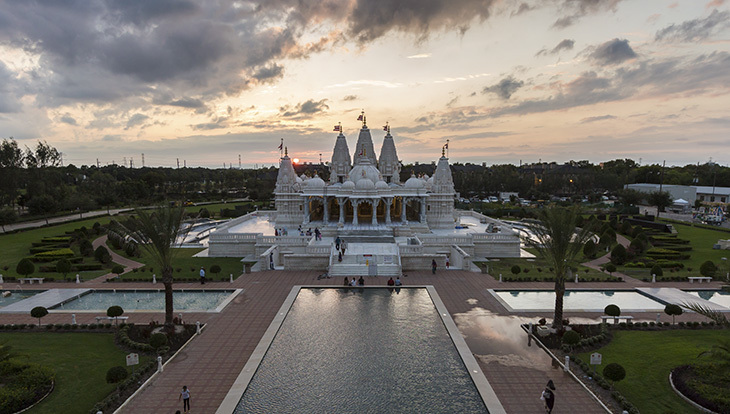 Built in 2004, the Shri Swaminarayan Madir in Houston gets a mention from me for its stunning architecture. You can find other Madirs like this in Atlanta, Chicago, Los Angeles, Robbinsville, and Toronto. These temples are absolutely breathtaking and they’re all equally worth visiting. Being on an African safari would be a bucket list dream come true and it’s one thing I hope I get to do someday. 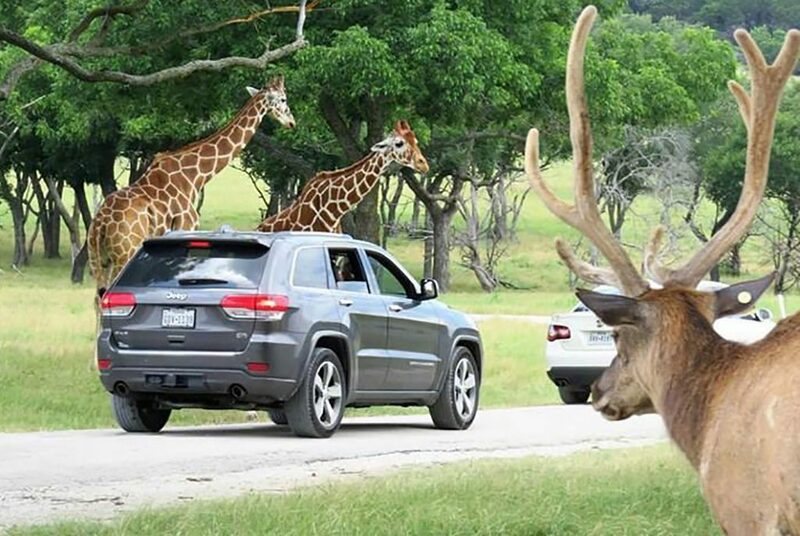 In the meantime, there’s a place where you can drive your own car and take a safari in the hill country while viewing wildlife right here in the great state of Texas. I’ve spent a significant amount of time on the Fossil Rim Wildlife Center website looking at everything the wildlife park has to offer visitors. You can see deer, bison, ostriches, giraffes, and zebras to name a few. There’s a tour for everyone and the wildlife scenic tour is the one I’ve been eyeing. If you’re interested in learning more about behind the scenes at the wildlife park, there’s a tour for you too. You can even have a birthday party for kids that includes a tour. An honorable mention goes to the Cherokee Trace Wild Animal Park in Jacksonville, TX where you can drive through the park in your car and view the animals there as well. I’m not much of a hiker. Okay, I’m really not a hiker at all. 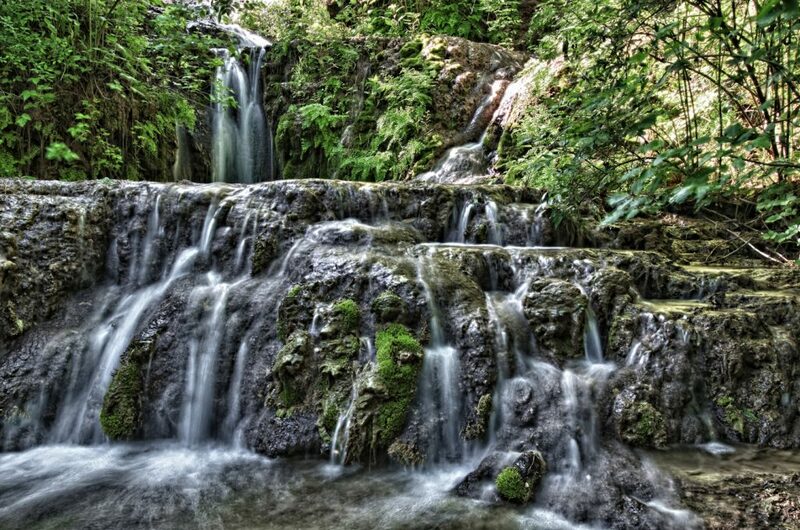 However, when I saw a picture of the Gorman Falls waterfall in the Colorado Bend State Park, I was sold. I’m sure pictures don’t do it justice and just from what I’ve seen, it’s one of the most enchanting views I’ve seen…well, outside of my dream destination of Hobbiton in New Zealand, but I digress. I’m willing to invest in hiking boots just to catch a glimpse of this natural beauty in the Texas Hill Country. Make sure you check the Texas parks website to see when the park is open for visitors. Entry into the park is around $5 for adults and free for kids 12 and under. If waterfalls aren’t your thing, you can get a guided tour to the underground caves in the park. And there you have it, folks! 5 places to visit in Texas that are not your run of the mill tourist attractions! As I stated, this doesn’t even begin to scratch the surface of all the things I came across to see and do in my home state, but this is a great start and should keep me busy for a little while. 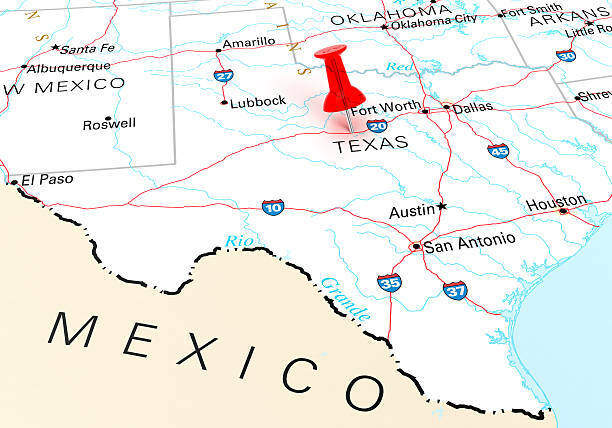 There’s probably over a hundred places to see and doing a search of destinations in Texas will give you even more ideas for places you might want to check out. I have never been to the 5 places I’ve highlighted here in this post. I wanted to find things outside of the usual suspects when people look for things and places to go in the Lone Star State. I really wanted to showcase some lesser known spots in the state and maybe introduce you guys to some places you may not have really thought of going to in Texas. Which of these do you think I should go to first? Have you been to any of these places? Let me know in the comments below!